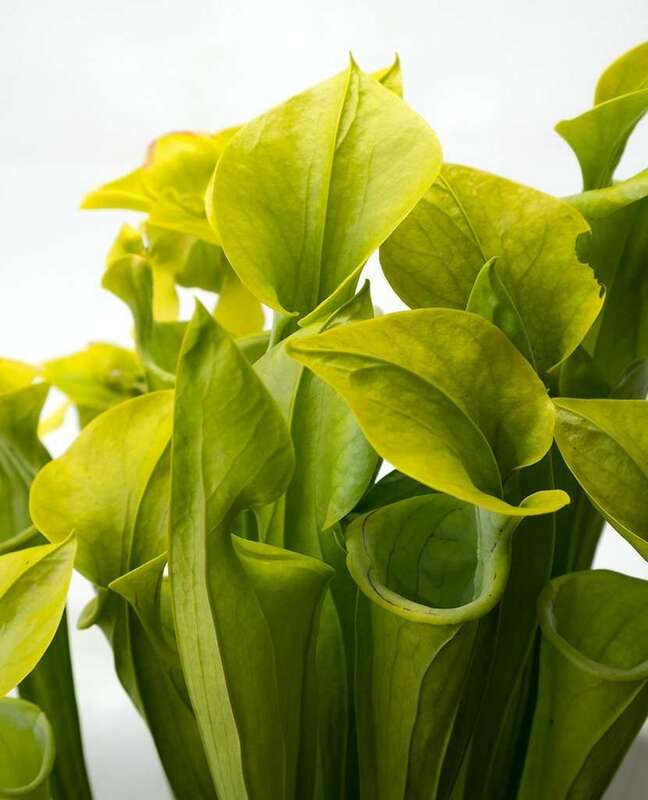 Sarracenia flava is known as the Yellow Trumpet plant. 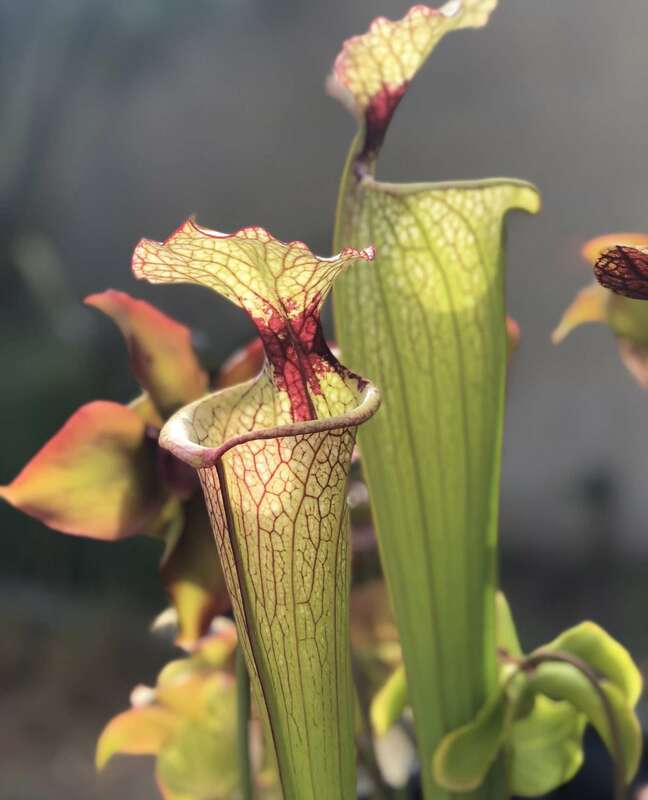 S. flava var. 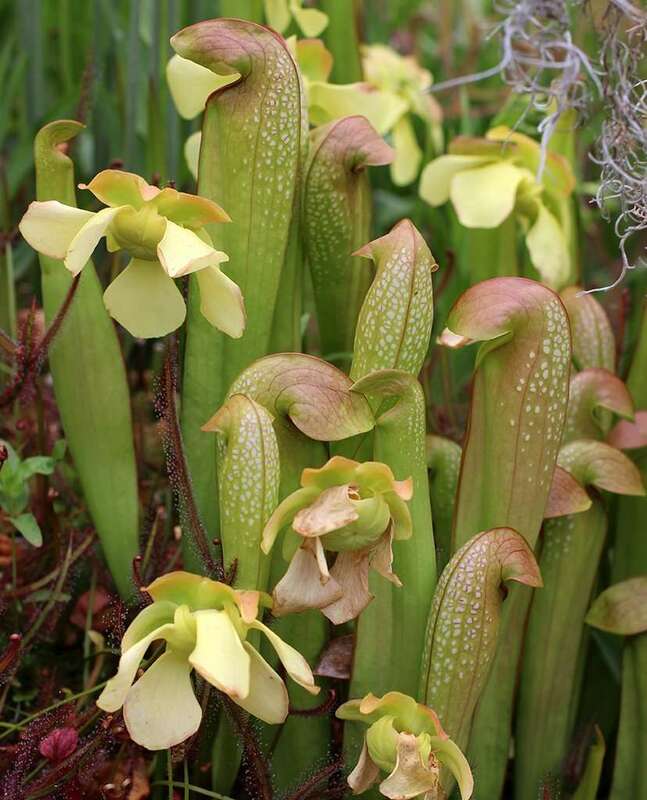 rugelii plays perfectly into this theme with yellow-green pitchers and lid (resembling the bell of a trumpet) and the pendulous flowers (looking like the main tuning slide of a trumpet). As with most S. flava, the flowers emerge early in spring and emit a delightful sent of cat urine (sarcasm). 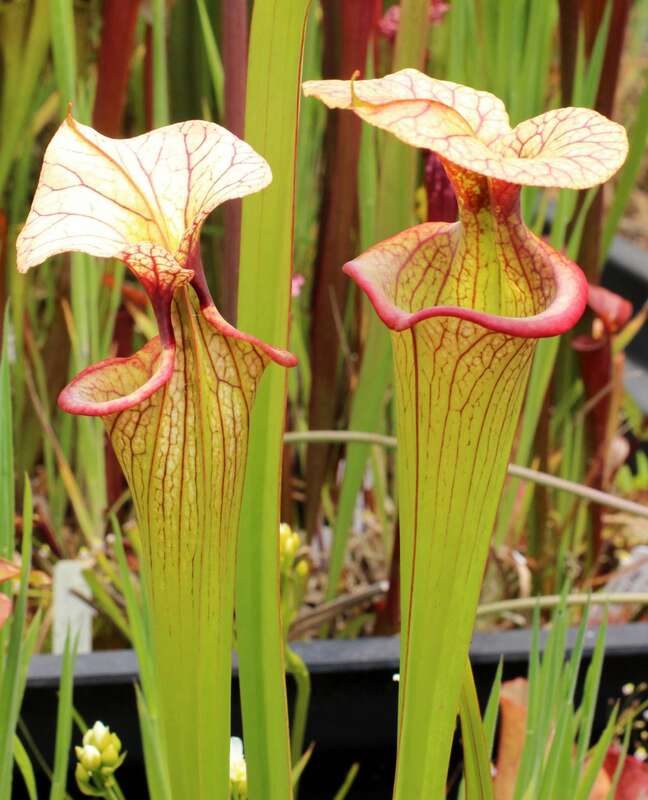 In general, S. flava is a highly variable species of pitcher plant and S. flava var. 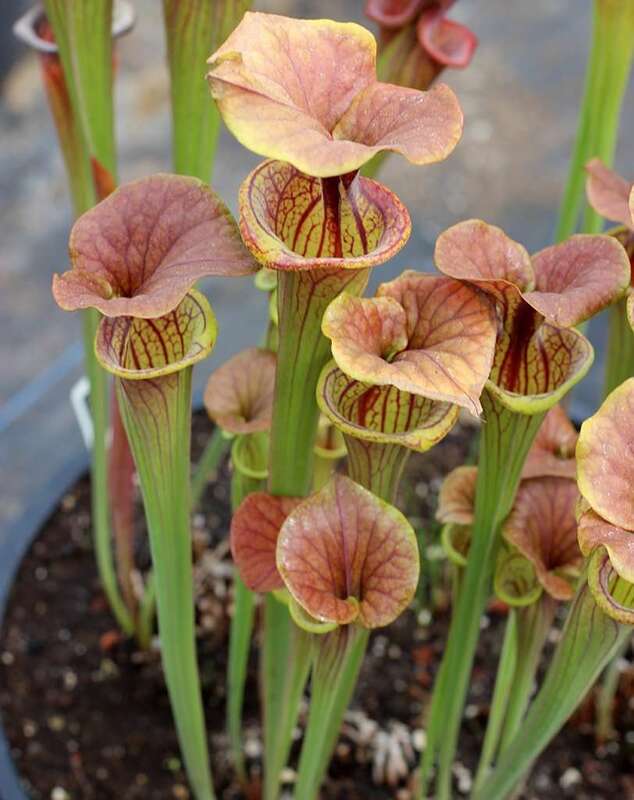 rugelii has some distinctions that set it apart as a unique variety. 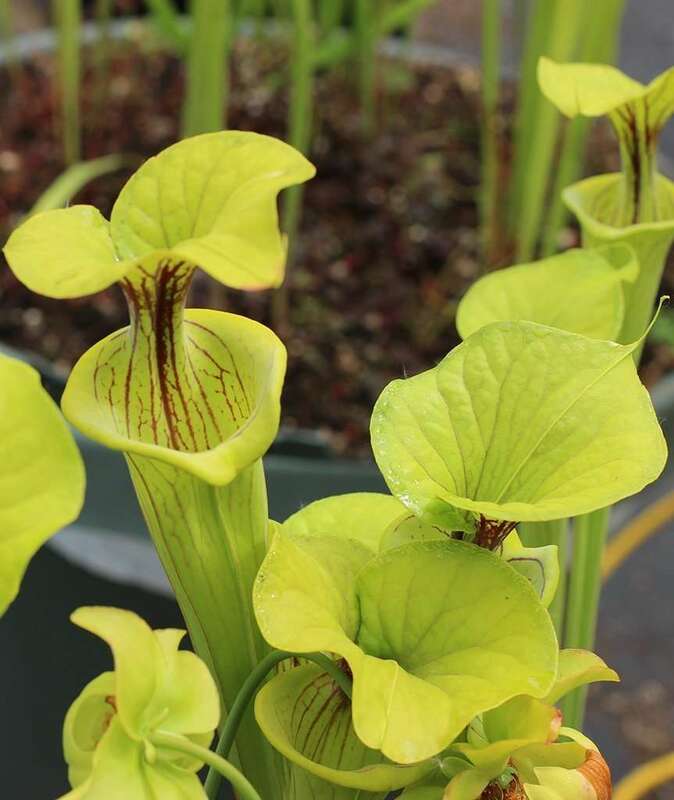 Sarracenia flava var. 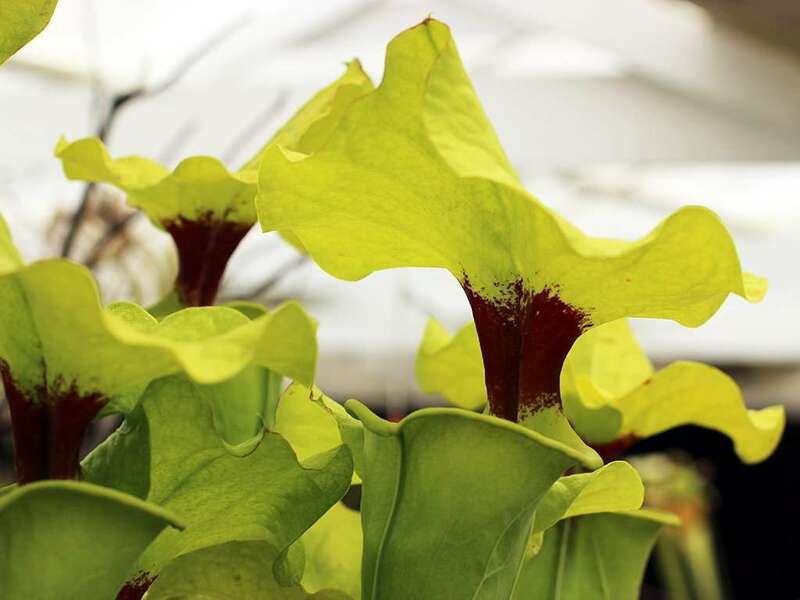 rugelii is commonly known as the cutthroat pitcher plant due to the distinct blood red throat blotch. 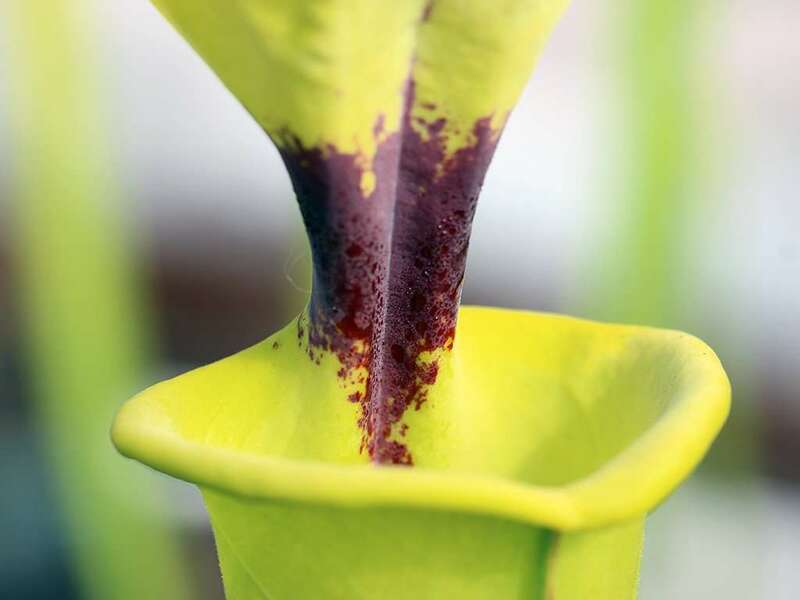 The coloration and high density of nectar glands at this location on the pitcher acts as a lure for hungry insects. 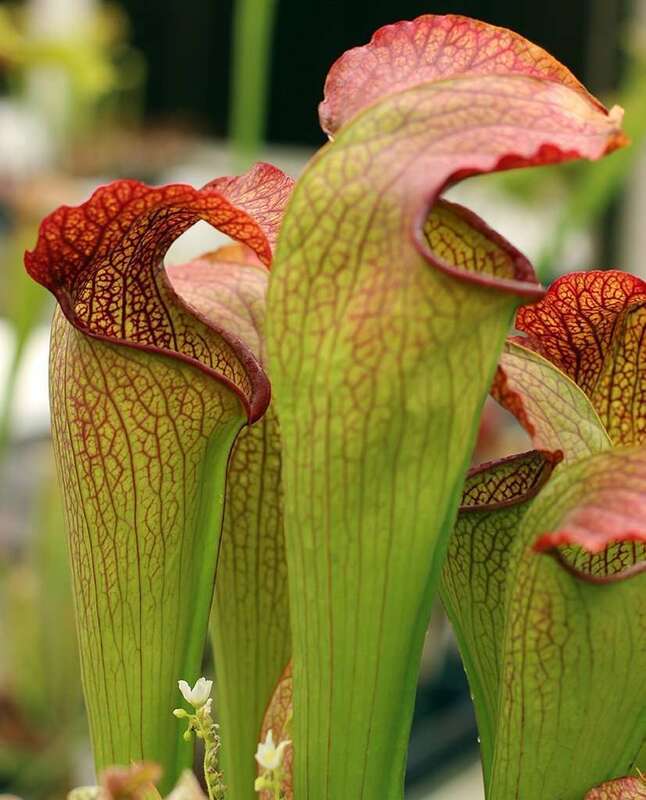 It’s no coincidence that it’s located right above the North American pitcher plant’s mouth. 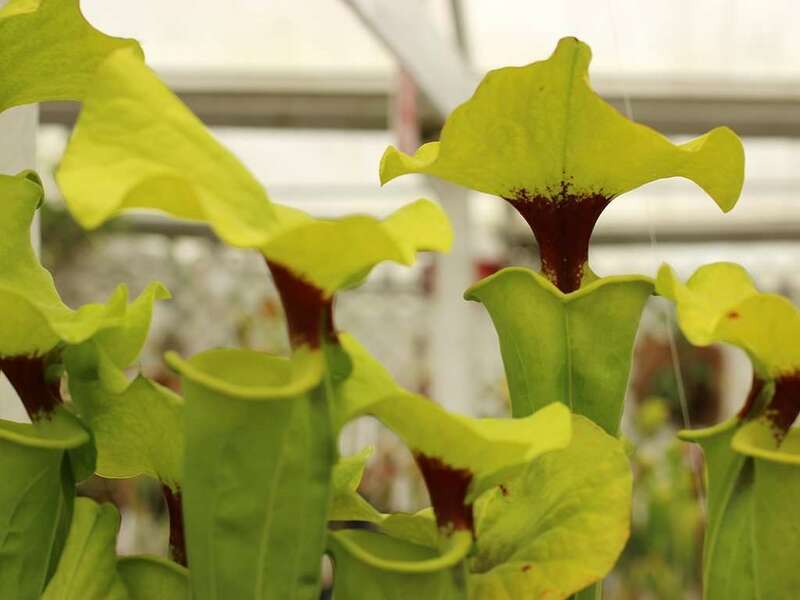 Sarracenia flava rugelii has been mistakenly called var. maxima, so don’t let that name fool you. 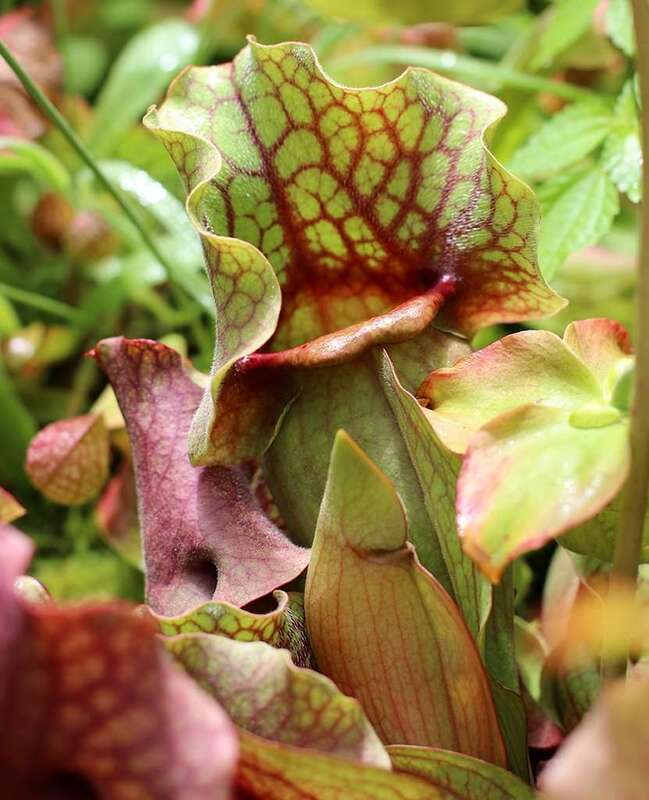 You’ll find this pitcher plant in southern Georgia and northwestern Florida. 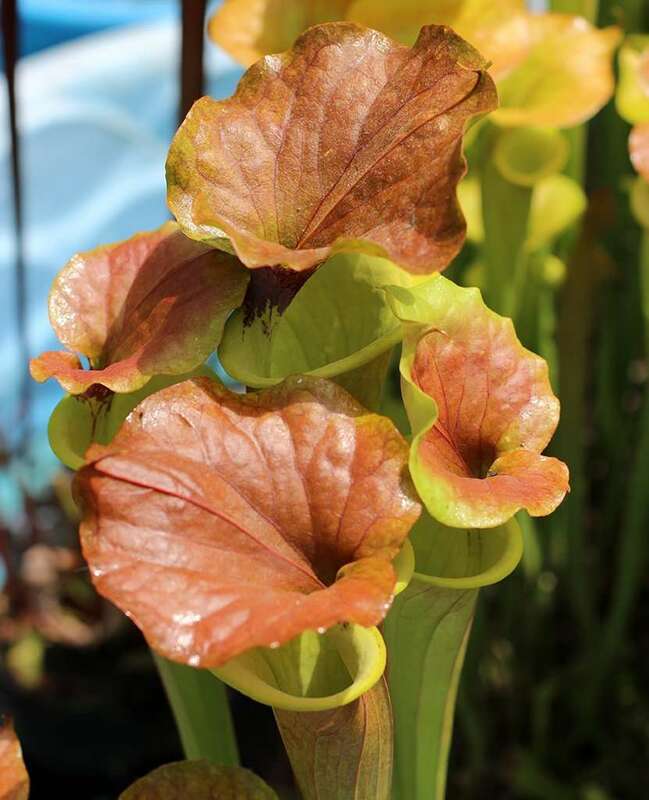 Unfortunately, as with many carnivorous plant species, S. flava var. rugelii has a dwindling natural habitat as a direct result of human activity. 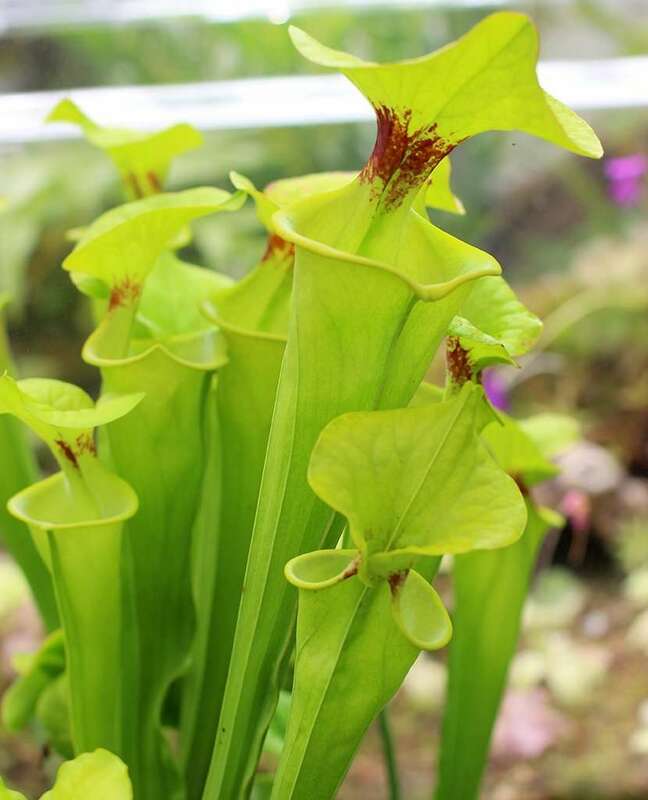 Make sure you’re picking up your plants from reputable growers, and not poachers, to preserve these beauties in the wild! 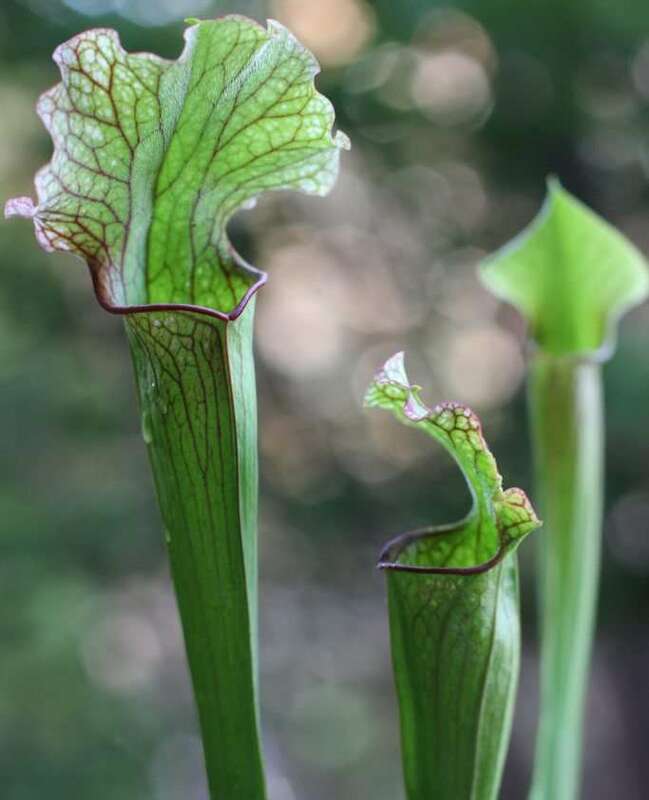 Sarracenia flava var. 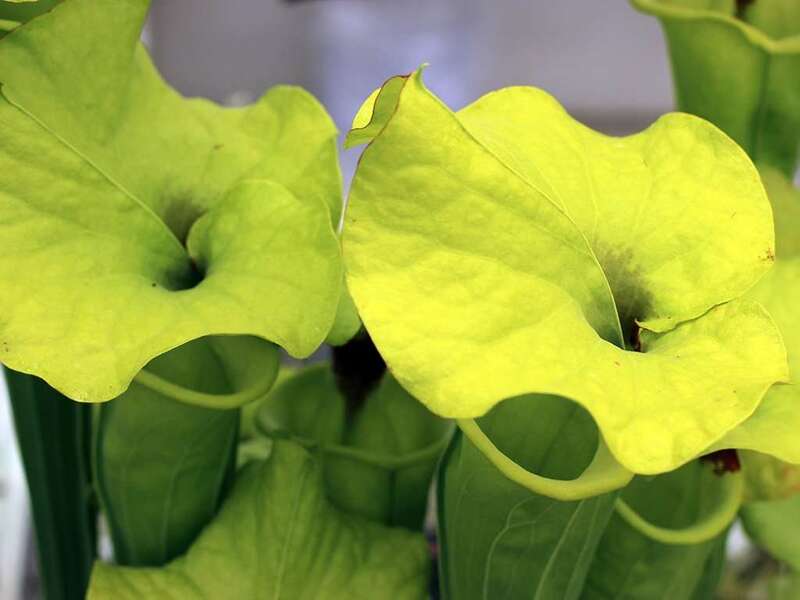 rugelii is a large, attractive pitcher plant with pure yellow-green pitchers. 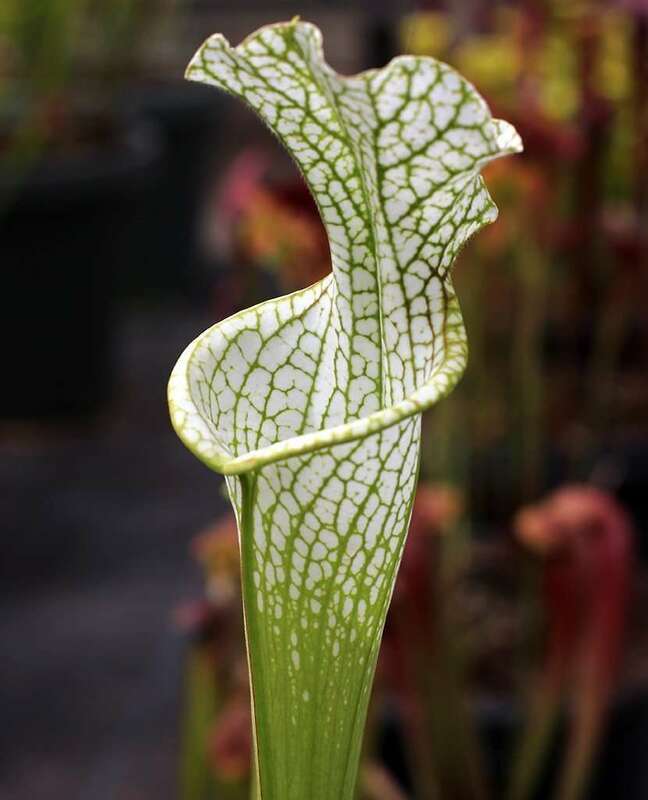 It lacks venation and when compared to other flavas, the top of a rugelii pitcher is more flared and the lid larger. The most dramatic characteristic has to be the deep redish purple throat blotch that breaks the singular shade of green. The red throat fades to green both up the lid and down the open mouth in a speckled manner. 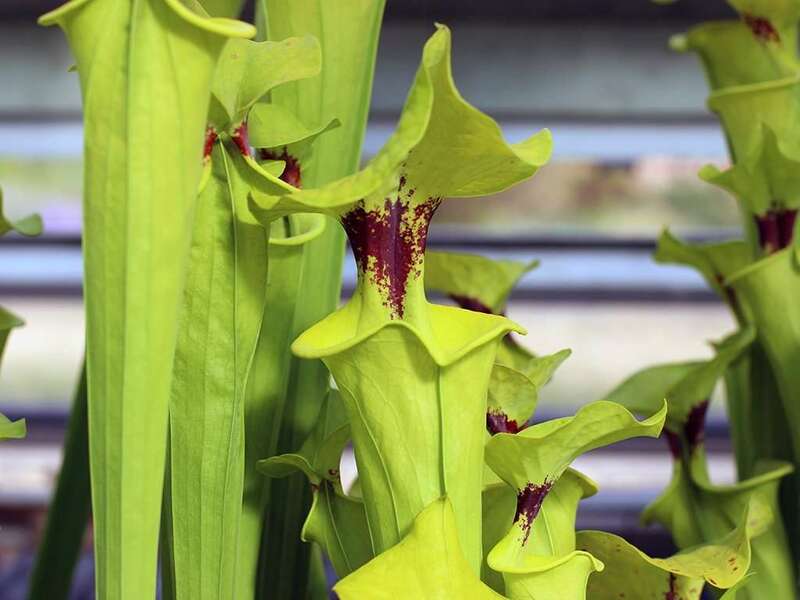 You’ll find a concentration of nectar glands near the red throat of Sarracenia flava var. rugelii. 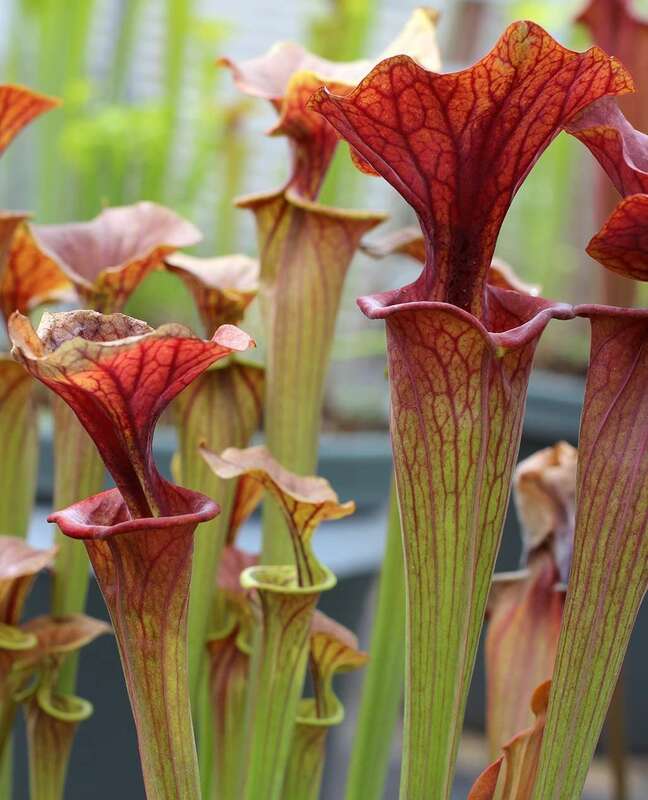 This does well to lure insects closer to the waxy inner surface of the pitcher where they loose footing and fall to their digestive doom.